The International ACM Conference on Management of Emergent Digital EcoSystems (MEDES) aims to develop and bring together a diverse community from academia, research laboratories and industry interested in exploring the manifold challenges and issues related to resource management of Digital Ecosystems and how current approaches and technologies can be evolved and adapted to this end. This year’s conference took place from 29-31 October in Luxembourg placing a special focus on Smart Buildings and Assistive technology (in cooperation with CNRTA/CTI specially Fabiana Bonilha). A Smart Building is a building in which the systems have been designed in order to improve the energy performance and social conditions within the building while minimising their environmental impact. A building is made smart through the application of intelligence or knowledge to automate the operation of building systems. The smart concept can also be thought till the end-user ICT /cloud environment services put at the disposal in the building (like it has been done in the multi-tenants Solarwind building). It relies on all paradigms, savoir-faire and knowledge specific to several disciplines, while mobilising the tools and unique perspectives enabled by digital technology. The smart building is a “transdiscipline” structure, embodying all the methods, systems and heuristic perspectives linked to the building automation ecosystem (user interface, algorithms, network, sensors and actuators). The Manifesto promotes an open community on Smart Building Ecosystem and focuses on best practices, on innovation and describes how researchers, innovators, and decision makers – at every level in every country – can improve the climate for innovation and growth in energy efficiency and renewable energies in the domain of Smart Buildings. During MEDES 2013 a forum on Smart Buildings, a visit of the first Smart Buildings in Luxembourg, and a session on assistive technology took place, in which the participants (experts, scholars, and professionals from academia, research laboratories, SMEs and industry) discussed, exchanged, and collectively reflected how to improve the Smart Building approach. In today’s complexe world, Smart Building have to respond to numerous challenges: the abilitiy to maintain operations, and thus productivity, in the face of events such as natural disasters, extreme weather, attacks on the grid, accidents, mistakes and other disruptions. The virtual environment has to be able to integrate multimedia communications, video phones, video conferencing, intercom and phone. • Measure and standardise the benefits of energy efficiency in Smart Buildings. 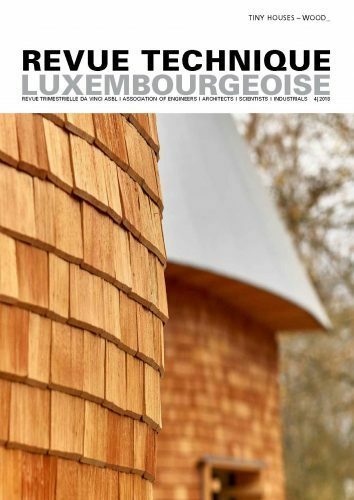 ProNewTech is member of the Luxembourg EcoInnovation Cluster, an initiative managed by Luxinnovation, the National Agency for Innovation and Research. Luxinnovation helps the cluster members to set up innovative projects in the field of eco-technologies. The cluster enhances the visibility of its members and invites them to participate in targeted events and workshops (www.ecoinnovationcluster.lu).